ChangeSets in HDYC : Neis One! Actually, I see that the date of my last node differs from the date of my last changeset. 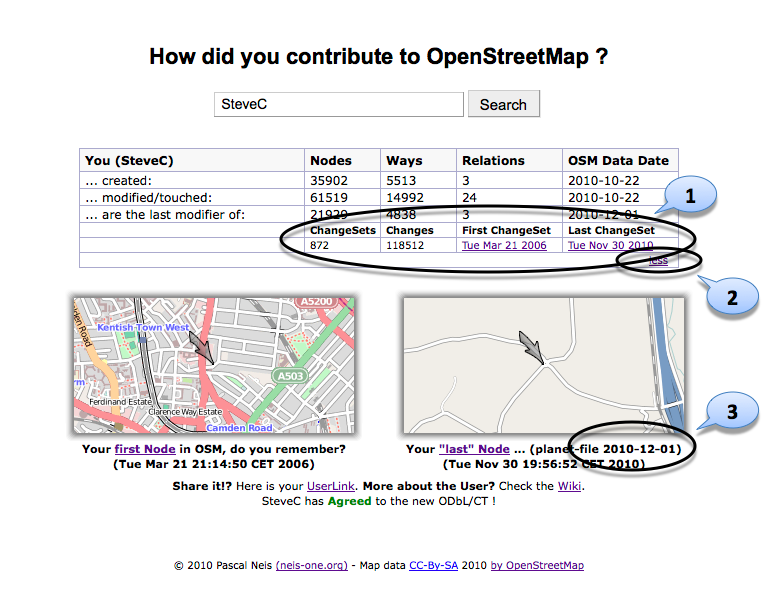 The date of my last changeset does match the date of the planet file that was used (which is what your image rings), but then if I stopped contributing to OSM for a bit then I’d expect that the date of my last changeset to be earlier than the date of the planet file that you last used to generate the HDYC pages. I suppose that the starting times of each dump are not the same. Therefore it seems that the changeset dump starts a while after the planet database dump. Thus the changeset dump could contain some “newer objects” then the planet dump. Can anyone confirm this? Here is exactly the type of article I am seeking. Trustworthy info is difficult to come across these days, so as a person who loves to read before they move forward it’s incredibly helpful that a lot of writers such as yourself put this stuff out there, available for the rest of us. Take care!